Oakmont Country Club, host of the 2019 WPGA Amateur Championship. Started in 1899 and played all but two years, 1917-18, during World War I, the WPGA Amateur Championship is one of the oldest amateur competitions in the country. Winners include seven USGA champions - Eben Byers, Sewickley, (U.S. Amateur), William C. Fownes, Oakmont, (U.S. Amateur), Carl Kauffmann, Pittsburgh (U.S. Amateur Public Links), Sean Knapp (USGA State Team, U.S. Senior Amateur), Jim Masserio, Pittsburgh (U.S. Junior Amateur), Arnold Palmer, Latrobe (U.S. Amateur, U.S. Open, U.S. Senior Open), and Nathan Smith, Allison Park (U.S. Mid-Amateur, U.S. Amateur Four-Ball, USGA State Team). Jim Simons of Butler, who won the 1978 Memorial & 1982 Bing Crosby at Pebble Beach is also a past champion. The most frequent winners are Fownes, 8, Sean Knapp, Oakmont, 7, and Jack Benson, Pittsburgh, 6, Byers, 6, and Palmer 5. Sean Knapp's streak of six straight titles, 1998-2003, is the standard. Arnold Palmer, 1949-1952, Bob Reilly 1960-1963, and Nathan Smith, 2007-2010 have all won the Championship four times in a row. William C. Fownes, 1909-1911, and John Birmingham, 1966-1968, have claimed the Fownes trophy three straight times. In 2006, William Miller became the third player to win the championship as a junior. The others were Fred Brand Jr. and Arnold Palmer. Palmer and Brand remain the only players in Association history to win the Amateur and Junior in the same year. Miller's 36-hole score of 68-62--130 at Fox Chapel Golf Club, the second round setting the course record and breaking the championship record. Miller's course record still stands and was recently tied by Olin Browne at the 2012 Champions Tour Senior Players Championship. 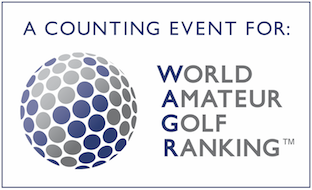 Since 1995, the Amateur has used preliminary qualifying rounds and 54-holes at the championship site.